I believe my generation and younger generations are really missing out when they do not learn of Maud Hart Lovelace. I did not as a child, but wish I had. I recommend her and loan my books, when able, to girls looking for a great book and moms who are interested in a great read aloud. (I may also have had the opportunity to recommend her to a stranger at a book sale. I know that was weird, but they took the book happily.) 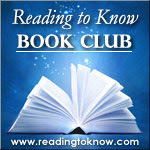 I am hoping that a few participants in the RtK Book Club are first-time readers-and converts! This is not exactly a book discussion, since we could pick any Maud Hart Lovelace title this month, so I hope you will stay with me. Many know MHL from the Betsy-Tacy series. It's a very enjoyable series that takes place in the early 1900's. It is about two friends named Betsy and Tacy (and often a third friend named Tib) and their adventures growing up in the town of Deep Valley. This series, as well as the Deep Valley books, are a bit autobiographical, based on places, events, and people in MHL's own life. She weaves in a bit of history, but never in a preachy manner. Maud Hart Lovelace's books are light reading and very enjoyable. I appreciate that the Betsy-Tacy series can be enjoyed by preschoolers to adults (depending upon which book you choose). We meet Betsy on her fifth birthday but we really get watch her grow up...all the way to her wedding! Betsy and Tacy live in the town of Deep Valley. The books are clean fun, so even younger children can read about grown-up Betsy! The content of the books grow as the girls-and readers-age. The Deep Valley books consist of Winona's Pony Cart (not my favorite), Carney's House Party (linked to a two volume book with Winona), and Emily of Deep Valley. Girls other than Betsy and Tacy are the main characters in these books. Since my children's first introduction to Betsy-Tacy (at ages five and three), the three of us have gone on to read more books meant for younger readers from the Betsy-Tacy Treasury. (My daughter also chose Betsy-Tacy as her first independent chapter book.) We have read a different chapter book called The Trees Kneel at Christmas and a picture book called The Valentine Box. I certainly recommend both of them. Though MHL is best known for Betsy-Tacy, my favorite book by far is Emily of Deep Valley (linked to review). I opted to reread this title for this month's book club. Emily Webster is a bit more reserved and intellectual than Betsy Ray. We meet her upon her high school graduation, and spend the next year with her as she overcomes depression and cares for her aging grandfather. She is compassionate, not only in caring for her grandfather, but also in standing up for her Syrian neighbors. Maud Hart Lovelace also wrote a bit of adult fiction and short stories. I am eager to read The Black Angels, but have not been able to locate a copy, though it is on my wish list. I do hope a RtK Book Clubber has some thoughts on it! Did you like Maud's writing? You can learn more about her at the Betsy-Tacy Society. Thanks, Annette, for hosting this month! I'm so glad you went with Lovelace. I really enjoyed my foray into the Deep Valley books this month. Did any of you read along this month? Please leave a comment in the comment section below sharing your own blog posts featuring the Lovelace books you've read this month. If you do not have a blog but have some thoughts to share on the topic of Lovelace and/or her works, please feel free to join in the conversation! I think I might have enjoyed her boos=ks with older characters better, but I did enjoy these and look forward to exploring more Lovelace books in the future. Great job on the random stranger recommendation! I like Barbara H. only read through the first two in the Betsy Series, but it was such a fun read. I had never read Lovelace before, so I was glad to have this introduction to her writing! Thanks again, Annette and Carrie! I found Lovelace in my teens when I discovered Heaven to Betsy at the libary. I didn't read the books from when she was younger until I was an adult. I read Emily of Deep Valley, which I hadn't read since I first discovered Lovelace. I had planned on re-reading Emily of Deep Valley, since I loved it so much. I ended up deciding to pick up where I left off, though, by reading Betsy and Tacy Go Downtown. I'm still working on my post(just finished reading it this morning), so I'll link up later, and start browsing posts. My post ended up being more babbling than anything, but here it is. Thank you Carrie and Annette for getting me back in the world of Deep Valley!